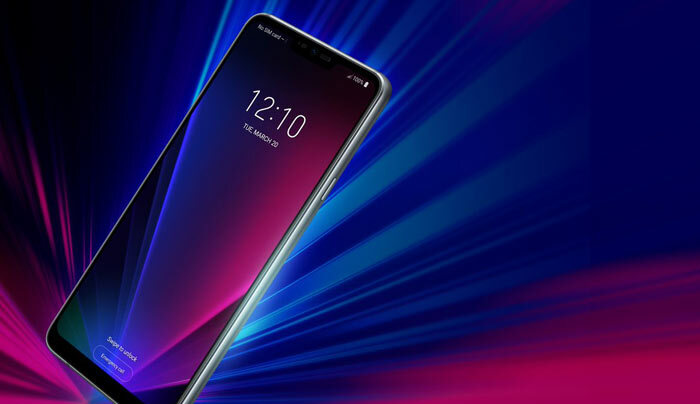 LG is getting ready for the global launch of the LG G7 ThinQ smartphone on Wednesday 2nd May, a little over a week away. Events will be held in New York and Seoul. People were expecting the G7 to arrive at MWC 2018 but instead LG released an AI-packed revamp of the V30, the V30S ThinQ. Yesterday prolific smartphone leaker Evan Blass added product shots of the new LG G7 ThinQ, from every angle (below), adding to the lovely clear promo shot he published a week previously (bottom). Other features: OIS on cameras, rear fingerprint sensor, dedicated Google Assistant button, screen notch design. Back to the Evan Blass leak and you can see the following; the familiar SIM tray up top, on the bottom is a speaker, USB Type-C port, the microphone, and a headphone socket, on the front of the phone the notch has an earphone speaker, camera lens and possibly a flash and or proximity sensor, to the right of the phone is the power button, to the left you see volume up and down and the Google Assistant button. Elsewhere we can comment on there being little or no camera bump and the screen is not overly curved at its edges. When the LG G7 ThinQ smartphone launches we will surely hear quite a bit about the qualities of LG’s AI software and features, likely to run on top of the latest version of Android at release time. It was amusing to read the Twitter comments on Evan Blass’s expose, with the overall dislike for the notch, chin, and ‘Bixby button’ – “No ThanQ,” someone quipped. Since when is the “camera notch” a feature? Kludge would be the better term. I'm not a fan of the notch, either. I've got an LG V20, and a V10. I love the “2nd screen,” option - it's the most convenient feature I think I've had in a phone in years. I'm sad LG hasn't continued to put that into their designs. For christs sake, screw the notch, it's ugly and stupid. 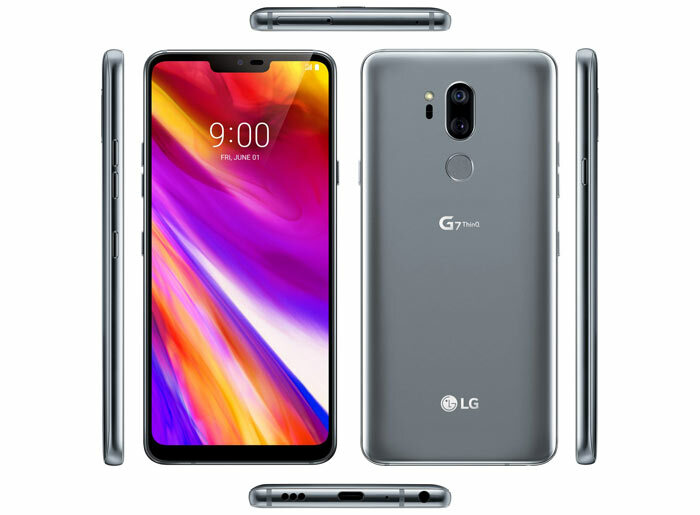 I really wanted the LG G7 now I am finding it really hard to endorse such a stupid idea. I am waiting for the Gillette smartphone - the best a man can get. Stupid notch… Whatever happened to differentiation of your product. One manufacture does it they all do it. No one stops to ask if they should. Just make the bezel small but with enough for the speaker, camera etc. Nicer design and no awkward screen space.